Change is good. It’s more than good – it’s necessary for growth. Companies need to evolve their offerings in order to keep things fresh and their customers interested. But what happens when a company changes its business model in a way that strips away a valuable element of its brand equity? Is it able to recover lost equity and maintain its appeal? 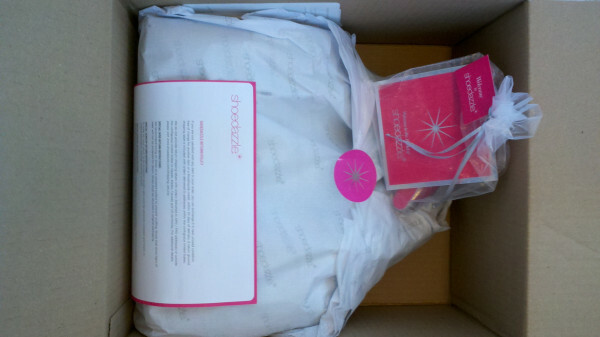 We’ll find out, given the recent announcement that ShoeDazzle is scrapping its monthly subscription model. background: Just three years ago ShoeDazzle made a grand entrance to the e-commerce scene. The company’s innovative approach was based on offering a personalized selection of shoes, handbags, and jewelry curated by Kim Kardashian to members who paid $39.95 a month. The company was founded by two attorneys (including Robert Shapiro of OJ Simpson trial and LegalZoom fame) and Kardashian. Backed by Polaris Venture Partners and Lightspeed Venture Partners, the company turned heads in the tech, retail, and fashion sectors. Last year it secured $40 million in a financing round led by Andreessen Horowitz. ShoeDazzle now has over 10 million members. When you join, you fill out a taste profile which enables the site to curate a selection of products and present you each month with a personal “Showroom.” Over time, the site’s recommendation algorithm gets more sophisticated as it takes into account your actual purchases and so you end up feeling like you’re shopping from a collection of items handpicked just for you. now: Given how successful ShoeDazzle has been, it’s no surprise it has spawned a throng of copy cats including Kimora Lee Simmons’s Just Fabulous and Rachel Bilson’s ShoeMint. And as a result, there’s been some buzz about “subscriber saturation” and questions about the viability of the concept. Enter Bill Strauss. The cofounder and former CEO of ProFlowers, was recently named CEO at ShoeDazzle “because of his experience retaining high levels of customer satisfaction at a booming consumer Internet company,” reports an analysis in Fast Company. “He’s very heads-down and focused on operational execution and delighting the customer at a large scale,” Andreessen Horowitz partner John O’Farrell told the magazine. Strauss has decided to nix the company’s subscription model. No longer will customers be required to make a selection each month; everything on the site is simply $39.95. The move is not surprising, given Strauss’ background. After all he built Proflowers into an e-commerce powerhouse by leveraging sophisticated technology to dominate search engines and build a highly productive customer database. And at first blush, loosening the requirements and making purchasing easier would be a no-brainer for any website. – trading status for scale – Strauss explains that “what will differentiate ShoeDazzle in the next phase is building the company out to a gigantic scale.” Scale may be good for your brand if you’re Amazon or Walmart, but not if you’re trying to serve up an experience akin to a “high-end boutique.” By no longer requiring a subscription, the company has democratized the experience. The monthly commitment had served as a signal of status and brand exclusivity — now there’s little barrier to entry. – trading connection for choice – “Some people liked the model,” Strauss says, “but a lot of customers told us they’d like to buy two or three times in one month and then maybe not for a few more months.” So the new model gives customers more choice. But it also allows for customers to slip away for months at a time, perhaps even forever. Even though the subscription model had offered customers the option of skipping a month, most customers still visited their showrooms at least once a month. Without the monthly commitment, there’s no foundation for a regular connection. – trading urgency for ubiquity – There’s also no reason for a timely customer response. Opening up the purchasing model will allow the company to “capture as much of that demand as possible,” Strauss says. But is getting to a large prospect pool that may or may not be interested in buying at some point in the future better than engaging with a smaller customer base that has committed to buying something that month? 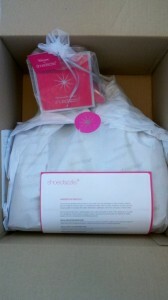 Now, it seems, ShoeDazzle is just another website with inexpensive products.